Arrival at the railway station/airport & proceed for the city. 'Haridwar'- Gateway to the Lord. One of the holiest Hindu pilgrim sites on the banks of the sacred river Ganga, Hardiwar is a bustling town with crowded markets, a multitude of temples, ashrams and ghats overflowing with pilgrims desirous of attaining a measure of salvation - in this life or in the next one. 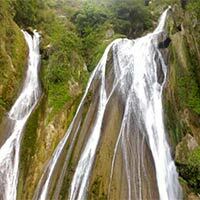 Visit Har-ki-Pauri which literally means footsteps of God. Lined with temples and guesthouses looking on to the river, the ghats (river landings for bathing) have worshippers bathing early in the morning and the spectacular Ganga Arti (worship of the river Ganga with lamps) in the evenings. In the distance are the Himalayan peaks, and all around forests and hill shrines. The atmosphere, the rituals and the view around Haridwar all serve to give the uninitiated a glimpse into Hindu religious philosophy. Evening is at leisure to walk along the Ganges & explore the colorful bazaars. Dinner & overnight at Haridwar. 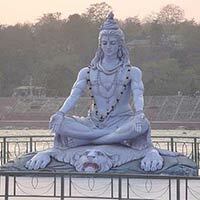 24 kms upstream on the banks of the Ganga where it is met by the Chandrabhaga is the holy town of Rishikesh. Literally, Rishi's (holy man) locks, this small town is the point where the holy Ganges crashes down in full glory onto huge boulders and creates long stretches of white sandy beaches. The banks are lined with ashrams, where saints and holy men rested before beginning their arduous pilgrimage up into the snow-covered land of the gods. 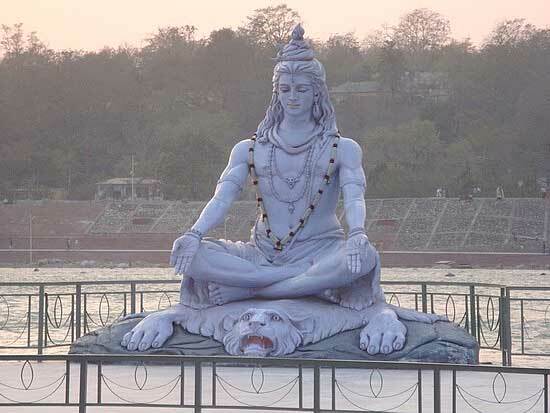 Rishikesh is essentially a combination of five different districts- Rishikesh the commercial centre, Muni-ki-reti in the quiet suburbs, Shivananda Nagar to the north, Lakshmanjhula with its holy shrines and Swarg Ashram where most of the ashrams are located. Post breakfast commence sightseeing tour.Visit the Triveni Ghat, in the centre of town is the most prominent bathing ghat in Rishikesh. With its modern images of Hindu deities and white sandy beach, the ghat is ideal for a dip in the holy waters of the Ganga early morning.The Bharat Mandir near Triveni Ghat is reputed to be the oldest temple in Rishikesh. The temple's presiding deity is a black stone Vishnu, which is believed to have been consecrated by Adi Shankaracharya when he visitedRishikesh in the 9th century. This occasion is commemorated with special celebrations on the day of Basant Panchami, the spring festival. Swarg Ashram, with its numerous ashrams, food stalls and shops is a haunt for those looking for insights into religious themes. The newly constructed Ram Jhoola straddles the Ganga at this point. You can also make a river crossing on the ferries that run during the day. Important shrines and ashrams at Swarg Ashram include Kali Kumbliwale founded by Swami Vishudhananda, Parmarth Niketan with large statues of gods and goddesses and the Gita Bhavan with its Ayurvedic dispensary and shop selling religious books and cotton Khadi. About 2 kms upstream is the old footbridge called Lakshmanjhula, named after the brother of Lord Rama. Temples line both sides of the river at Lakshmanjhula. To the northeast is the area of Muni-ki-reti. Along the banks of the Chandrabhaga river, this area with its secluded white sand beaches is ideal for swimming. Boat rides on the river near Swarg Ashram are a pleasant diversion, and you can feed the fish that cluster around pilgrims throwing balls of wheat flour into the waters. Dinner and Overnight at Haridwar. Post breakfast drive to Mussoorie often known as the " Queen of Hills" & check into your hotel. Commence your city tour with Gun Hill, a curious flat-topped hill is the second highest peak of Mussoorie. You can reach it on foot or on a pony by a bridle path from the Mall. Alternatively a 400 metre ropeway takes you up to the hilltop on a scintillating journey with great views. From the hilltop you get to see some of the more prominent peaks including Banderpunch, Srikanth, Pithwara and the Gangotri group. In colonial times, a gun placed on the summit used to fire at mid-day for locals to adjust their watches. Visit the Camel's Back road, a 3-km road encircling the base of Gun Hill is also a good place to view the breathtaking Himalayan sunset. Named after a nearby rock formation that looks like a camel's back, a walk or pony ride along this road yields the sights of snow mountains. Later visit Clouds End, the English chateau built in 1838 and one of the first buildings to come up in Mussoorie is tucked away about 8 kms from the Library. Now converted into a holiday resort, the house is surrounded by dense forests and views of snow peaks and the River Yamuna. Evening a stroll on the Mall road for souvenir shopping. Dinner & overnight at Mussoorie. Post breakfast visit Childer's Lodge, the highest point in the area. Reached by foot or on ponies, the summit offers great views of snow peaks. Later try skating at the skating rink at Kulri Bazaar, built in an old British theatre. 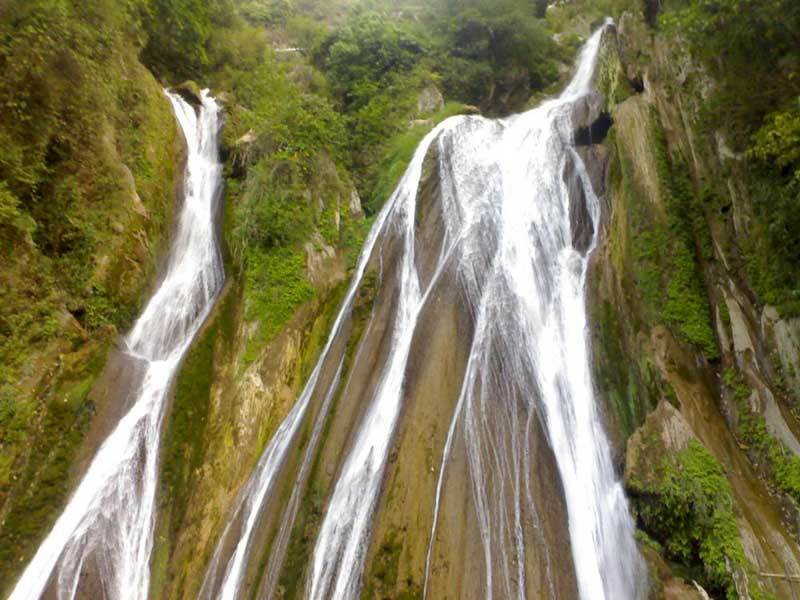 Visit Kempty Falls, 15 kms from Mussoorie on the new road to Yamunotri. A bath in the pool at the foot of the falls is a must-do for tourists thronging the spot. Steps lead down to the pool around which tea stalls, shops selling towels and bathing suits have come up. Evening free to explore the mall.Dinner & overnight at Mussoorie. Post breakfast check-out from the hotel and drive back to Nerw Delhi with sweet memories of your tour.